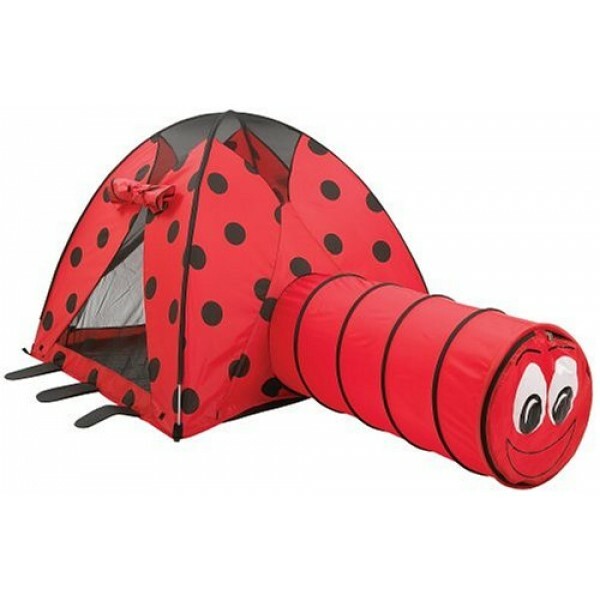 This vibrantly colored ladybug tent from Pacific Play Tents is so durable it can be used indoors or out. It comes complete with its own 6' tunnel. Tunnel port comes with roll-up flaps that secure with Velcro tabs. Durable, washable floor made of polyethylene keeps kids dry from the wet grass. Dual zippered front screen door lets little ones in and out easily. Roll-up Lady Bug wings reveal a mesh window. 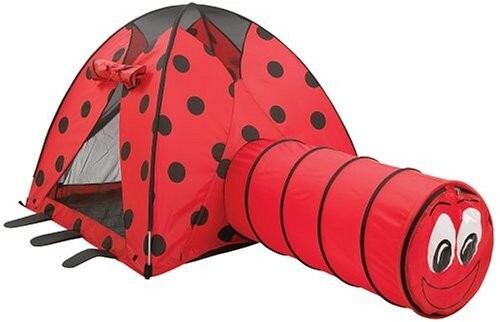 It's sure to make great fun for an outdoor backyard adventure.